You have a great idea for your book…now what? You need a plan. When you have a detailed plan or outline for your book, you’ll be able to work more efficiently and be more productive as you write. That means that you’ll be able to write your book faster, even if you just have a few minutes a week to dedicate to writing. In this episode, you’ll learn why it’s worth taking the time to write a detailed plan or outline for your nonfiction book. And, you’ll learn more about the first two steps that you should take when you begin to put your plan together. These steps will help you save yourself a lot of time, which translates into you getting your book into your readers’ hands sooner! Get started on your book FAST! My 5-Step Guide to Creating Your First Book will show you just how simple it is to self-publish your nonfiction book! Sign up now to get your copy. Need help applying what you learned in this episode? These resources will help. How to Start Outlining or Planning Your Nonfiction Book – Crunched for time? This video is a 12-minute recap of this podcast episode. The Basics of Creating a Reader Avatar – In this episode of the Blogger to Author Podcast, I walk you through the process of creating a reader avatar. You’ll learn the questions you should ask yourself to create a detailed description of your ideal reader, which will ultimately help you create a better outline and write a better book. Why You Must Define Your Reader – This blog post explains why it’s so important to think about your reader avatar and how you can use that reader description or avatar to improve your book. Don’t forget to subscribe to and rate the Blogger to Author Podcast on Apple Podcasts! You can also catch the Blogger to Author Podcast on Google Play and Stitcher. 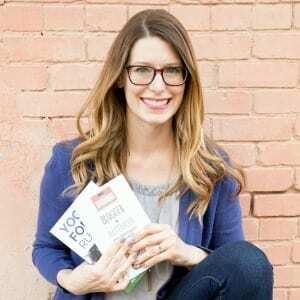 Episode 98 – Will Readers Buy Your Book?